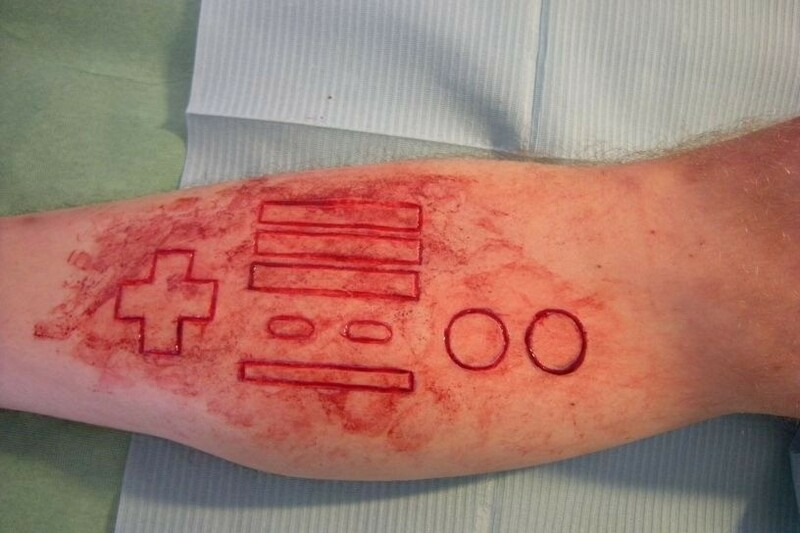 I’m not a fan of Tattoo’s or body art in general but that doesn’t mean I can’t recognise some good artwork on bodies. 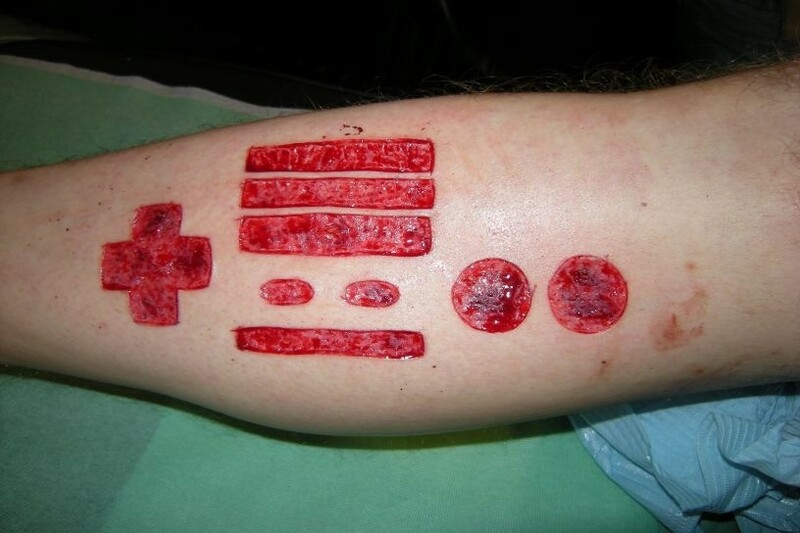 However I have never seen something as painful and disgusting as this in my life before, Someone going by the name of metal_games decided it was a good idea to cut a NES controller into his leg, then slice off all the skin and leave the open wound to heal itself. 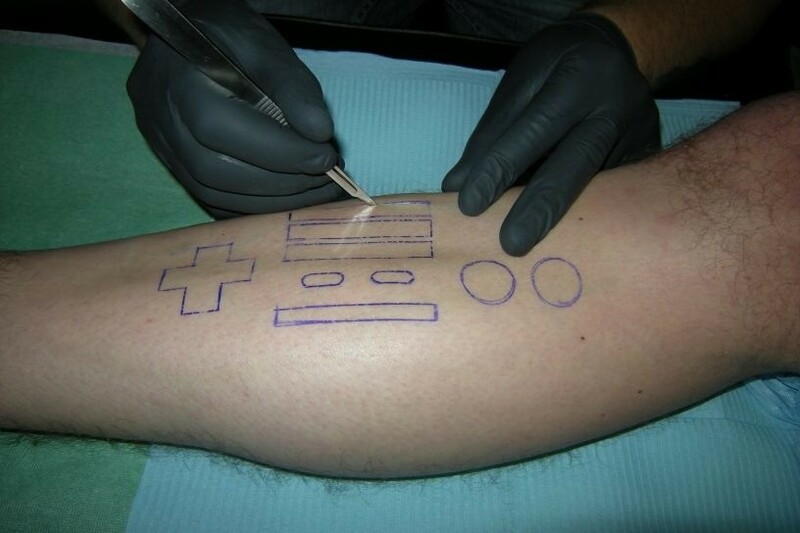 Apparently this is called Scarification and it’s a stupid ideaâ€¦ that’s my opinion at least but in this instance I’m making it a fact. Check out the steps and how I imagined the guy reacting below but be warned this is slightly disturbing. Wait is that a scalpel?